By Andrew Winner - SEATTLE, WA (Mar 4, 2010) US Soccer Players -- Former Under-17 US National Team striker Ellis McLoughlin joined Sounders FC in camp Wednesday on a trial. Although still technically a member of Hertha Berlin, the 19-year old striker is back in his hometown and hoping to catch on with Sounders FC. Although he has played sparingly for Hertha’s first team since his arrival in January 2008, the Seattle native has shown a knack for scoring goals at the youth National Team level. A speedy player who can finish with either foot, McLoughlin said he can play striker or outside midfield, two positions where Seattle lacks depth. “Obviously we wanted to take a look at him from the standpoint that things aren’t working out for him in Germany possibly as he would have hoped,” Sounders coach Sigi Schmid said. “He was brought to our attention and we said, ‘Sure, we’ll take a look at him.’ We’ll see how it goes in this week of training and we’ll make some decisions." McLoughlin first made a name for himself competing with the US U-17 team in 2007, where he was the primary goal-scoring threat. He scored twice as the United States won the CONCACAF Qualifying Tournament for the U-17 World Cup. McLoughlin parlayed his strong performances at the youth level into a professional contract before his 18th birthday. After one season playing for Dean Wurzberger at the University of Washington, McLoughlin received a call from an agent, informing him of the interest of a German team. He left for Germany the next day, training for approximately four days in January 2008. After returning for the start of classes at Washington, McLoughlin accepted a contract offer a day before the end of the transfer window. Still only 17, McLoughlin had to wait for six months to start training with the first team, taking German lessons and training with the reserves. Once there, he said his path was blocked by some signings at his position. Since his arrival in Berlin, he has played sparingly. The club is currently in last place in the German Bundesliga with 15 points from 24 matches. According to McLoughlin, he has interest from teams in Scandinavia and elsewhere, but would prefer to play in his hometown. McLoughlin grew up in Seattle, attending Bishop Blanchet High School for one year before joining the US Soccer Federation’s U-17 Residency Program in Bradenton, Florida. There is confusion about whether McLoughlin, as a former youth national team player, would have to go through the same lottery as Real Salt Lake’s Luis Gil. 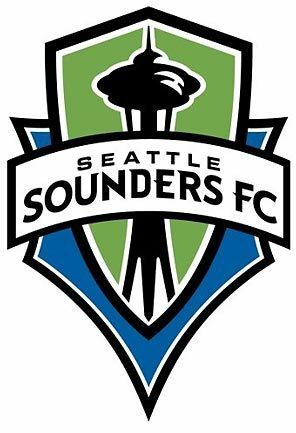 Both Schmid and McLoughlin himself are under the impression that a lottery would take place, while Sounders FC General Manager believes McLoughlin’s two years as a professional in Europe may exempt him from that process, similar to Kasey Keller’s arrival into the league. McLoughlin acknowledged that it would be tough to break into a team that returns nearly every key contributor from last season, but relishes the challenge. “I’m a hard worker,” McLoughlin said. “I know I don’t have a place on this team, but I’m willing to work for one, for sure. Andrew Winner is based in Seattle, Washington and covers soccer for MLSnet and Soccer365.com. He can be reached at andrewwinner@gmail.com.